Just regular folks. : Backtrack. 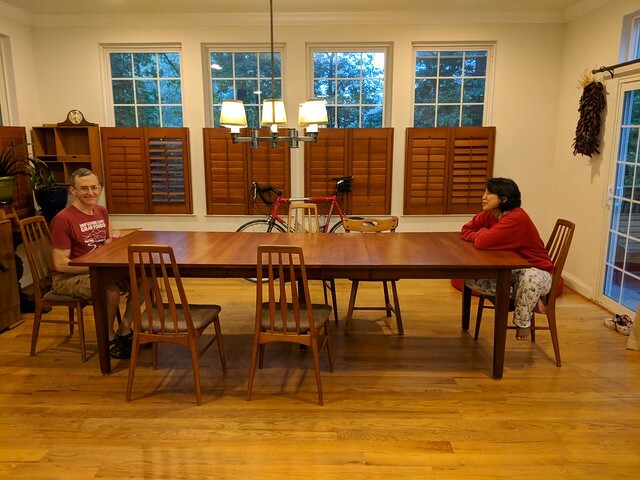 Table, ice cream, bike to work day. Jeremy's camera on his phone is better than my phone. His photo are way nicer than mine. He does send me the links to his photos, but it takes me a while to get them on the blog. They are time-delayed. 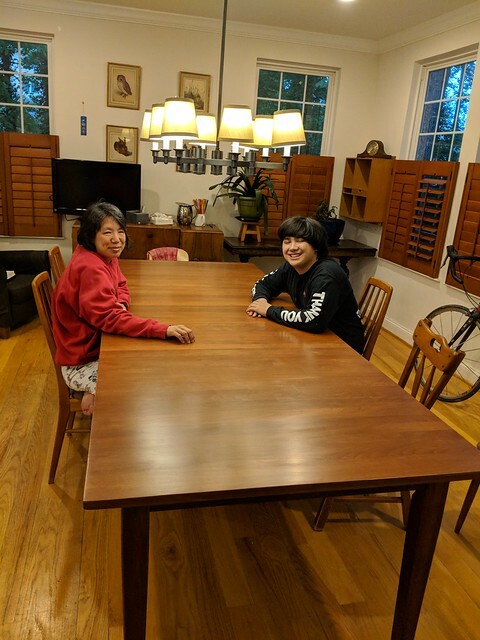 Here's our newly refinished table. I think it looks more beautiful than it did before. 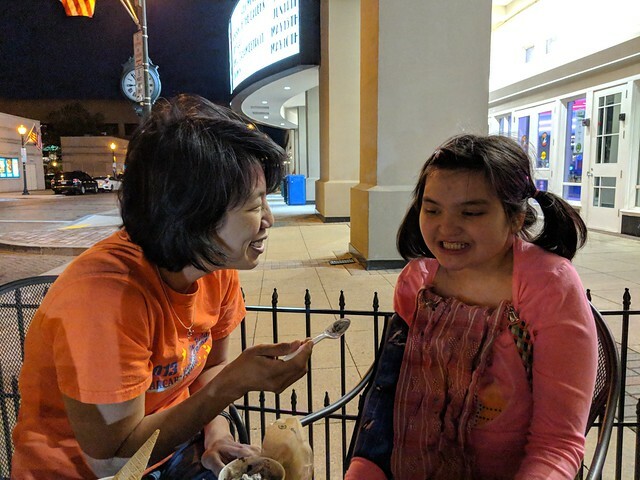 One day this past month, we snuck out of the house to get ice cream without Vince. Shhhhh.....hardly every happens. Ben & Jerry's. 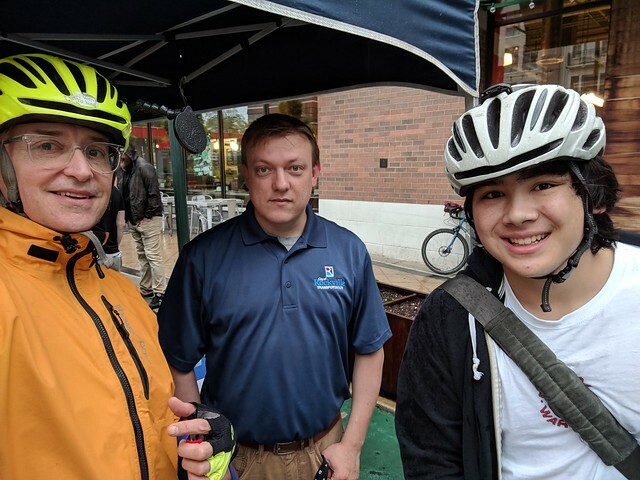 Last friday was bike to work day. They had a to-do in Rockville Town square. Jeremy rustled Vince up early to get to the festivities. Both the boys bike to their respective day jobs. Vince won a pair of socks.